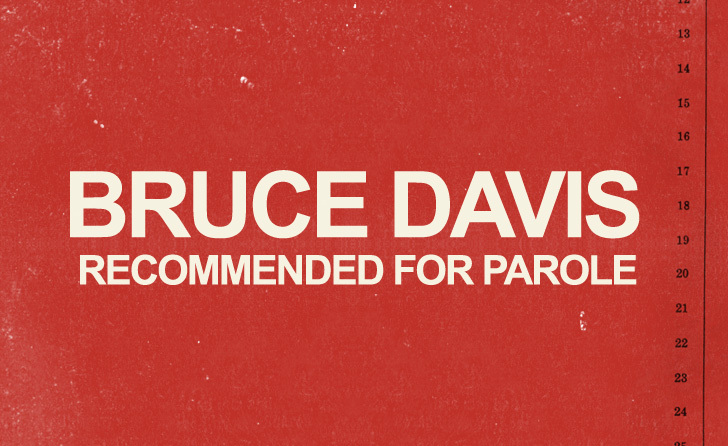 Manson Family member Bruce Davis recommended for parole for the second time. SAN LUIS OBISPO, Calif., Oct. 4 – The California Department of Corrections and Rehabilitation’s Board of Parole Hearings (BPH) issued a grant of parole today for convicted killer and former Charles Manson associate Bruce Davis, 69, during a parole consideration hearing at California Men’s Colony. Today’s decision was the result of Davis’ 27th parole suitability hearing. The BPH issued a grant of parole to Davis in January 2010 because of his positive adjustment, record of no recent disciplinary problems, and for successfully completing academic and vocational education and self-help programs. However, the parole grant was reversed by former Governor Arnold Schwarzenegger in June 2010, who concluded Davis was still dangerous because of an evaluator’s diagnosis of a personality disorder, Davis’ conformist tendencies, and his sporadic participation in substance-abuse programs over the years. Davis challenged Governor Schwarzenegger’s reversal of his parole grant in Los Angeles County Superior Court, which ruled against Schwarzenegger and vacated his decision. In 2012, California’s Second District Court of Appeal upheld the Governor’s reversal of the January 28, 2010, grant, ruling that the Governor’s concerns were justified and supporting his conclusion that Davis was still dangerous. Davis appeared before the panel today. The suitability finding is subject to a 120-day decision review period. If the grant is finalized at the conclusion of decision review, the Governor may conduct an independent review of the decision. Under California law, the Governor may reverse, modify, affirm or decline to review the Board’s decision. Davis was sent to state prison on April 21, 1972, with a life sentence from Los Angeles County for two counts of first-degree murder and conspiracy to commit murder and robbery. He was convicted for the July 25, 1969, murder of Gary Hinman and the murder of Donald “Shorty” Shea sometime in August 1969. The BPH hearing transcript will serve as the official record and is expected to be transcribed in approximately 30 days.